"The vast majority of DX12 titles in 2015/2016 are partnering with AMD"
AMD's Robert Hallock says that "The vast majority of DX12 titles in 2015/2016 are partnering with AMD". 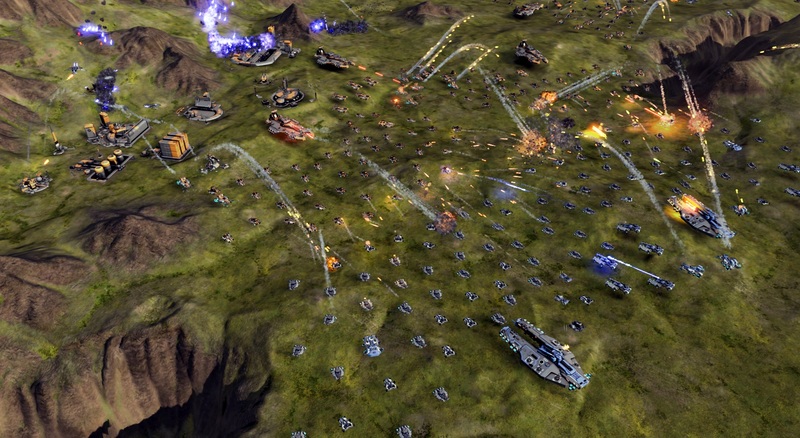 Will DirectX 12 be a game changer for AMD? Read more on most upcoming DX12 games partnering with AMD. I hope so, it's about time AMD lead the way. I had been beginning to think twice about my 295x2 purchase a few months ago but AMD are now making me think I chose the right "Team"
I don't quite understand why people would go with AMD considering their market share? surely that's.. kinda.. like.. whut? I really hope its because people associate gameworks with terrible games or that AMD's tech is much more open/stronger. They better not be lying/used the R&D cash pot to pay off devs. Still, atleast GE doesn't screw people over who don't own a AMD card. I really hope this is the start of good times for AMD. But....I got a feeling its the openness of AMD tech which will help them, and the fact that lets face it, AMD stuff is cheaper, and im not being funny, the way DirectX 12 is supposed to help utilise hardware to its maximum potential, i can see it working in their favour, this will then hopefully push nvidia to cut prices thus creating more competition and further developing new hardware. People also need to stop going on about market share and stuff all that is kind of irrelevant, because market shares can change per quarter, i mean it only takes a manufacturer to knock £50-£60 of the top tier gpu, and that is enough to sway people, and then the stats are released and look market share has changed, Bit like Apple and Samsung yeah? Tress FX in the absolutely stonking Tomb Raider worked perfectly on my GTX 670s. None of this derping other hardware nonsense. TBH? I never had any troubles when I was using Geforce cards and I saw the "AMD" logo upon start up. Gameworks on AMD on the other hand? dear god, let's hope this is right and AMD are reaching out to gamers (though I must say that neither Deus Ex or Ashes get me excited in any way). Said it before and I will say it again, if it wasn't for Fallout 4 I would likely have sold my gaming PC. There just isn't anything on the horizon that remotely interests me (well, aside from ME2 and the new NFSU) but I bet both of those won't live up to the hype. ME4 don't you mean buddy? ME2 - Mirror's Edge 2. Be that as it may, the market share hasn't gone heavily in AMD's favour since before the 68x series dude. You don't get to 80+% (or whatever it was reported to be last) share without holding some pretty serious Ace cards. Anyone with business sense would look at that trend and just not put investment into AMD ? surely?